Well it was bound to happen! A band I know absolutely nothing about! Well all your other choices have been solid, so I will check these guys out. I guess they aren't, but that could change the moment they score a hit single or record. Bonus points for Kristen Bell. Awesome awesome band. 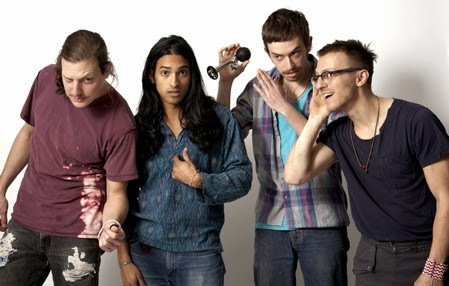 I love Yeasayer. Thanks for coming around Michael I hope you kip coming and be dedicated just as I am here .. Thanks for helping me discover some new music... and congratulations on completing the Challenge!